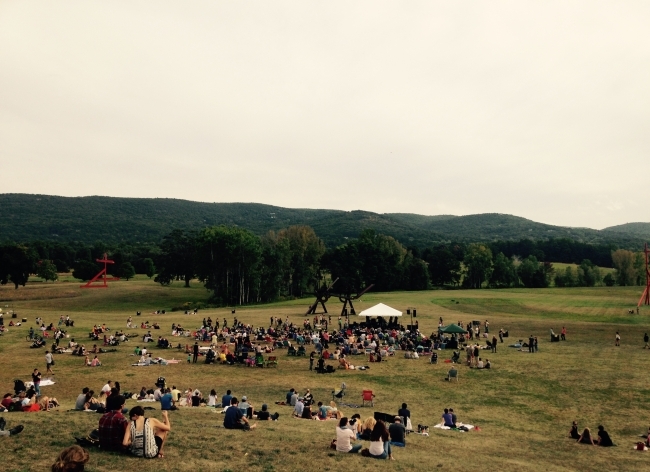 Storm King Art Center announces 2015 summer series! In cooperation with Ground Control Touring, Storm King Art Center announced its 2015 Outdoor Concert Series today, featuring The Feelies, Lee Ranaldo, Porches, Frankie Cosmos, Alex Bleeker and the Freaks and Kevin Morby. Each show takes place on a Sunday afternoon amidst Storm King’s rolling fields, celebrated sculptures and natural landscape. Storm King is located at 1 Museum Road in New Windsor, New York, one hour from New York City. All concerts are free with Storm King Admission: $15 adults; $12 seniors (65 and older); $8 ages 5-18 and students (with valid ID); free for children 4 & under and all Storm King Members. For more information visit http://www.stormking.org.